The jury has been discharged in the trial of a British man who says he travelled to Syria to fight against the Islamic State group. Earlier in the trial he was acquitted of preparing terrorist acts, after the Old Bailey judge said he had "no case to answer" to the charge. The judge - Mr Justice Edis - directed that a retrial should take place at the Old Bailey on a date to be fixed. 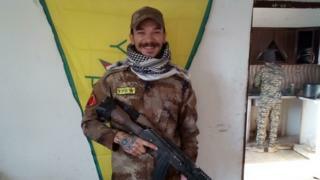 The trial heard he went to join the Kurdish YPG militia in August 2017, after deciding he wanted to combat the "evil" Islamic State. The judge said there was "no evidence" of any other intention. The jury was unable to reach unanimous or majority verdicts on either count.